When searching for study abroad possibilities, you may want to choose from the best and apply to the most prestigious. Some criteria for choosing your future university could be its position in the international rankings. These reflect the university’s facilities, teaching methods and approach towards students and, last but not least, its performances. Are you planning to study in the Great White North? 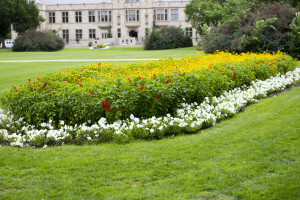 Here are the top 5 universities in Canada. 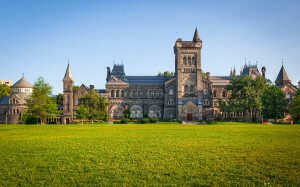 The University of Toronto offers a vast number of courses in seemingly countless subjects, allowing students to create a university experience based on their personal interests and future goals. You will participate in classes taught by leaders in the field and join a community of scholars who enrich your education along the way. University College was established in 1853 by The University of Toronto Act as a nonsectarian institution of higher education.Architects Frederic Cumberland and William Storm, inspired by Oxford and Cambridge Universities in England, designed the building in the Romanesque-Revival style. The University of Toronto Mississauga Department of Student Housing & Residence Life advances the mission of the University by creating a holistic student experience that promotes academic and personal success. They provide facilities that are safe & secure, well-maintained, and competitively priced in an effort to foster a supportive community that values diversity, equity and inclusion. Informed by research & assessment, they offer innovative programs & services that enhance student learning & development. The peer-based approach, dedicated professional staff, and collaborative attitude contribute to a unique and unparalleled student experience. 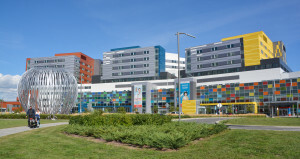 The campus attracts top students to the first-entry faculties of Arts and Science, Applied Science and Engineering, Music and Kinesiology & Physical Education. With advanced coursework or an undergraduate degree, students can enter one of the professional programs including Architecture, Landscape, and Design, Biomedical Communications, Dentistry, Education, Forestry, Information, Law, Management, Medical Radiation Sciences, Medicine, Nursing, Occupational Science & Occupational Therapy, Pharmacy, Physical Therapy, Social Work, Speech-Language Pathology and Theology. McGill University is one of Canada’s best-known institutions of higher learning and one of the leading universities in the world. Students come to McGill from some 150 countries, making our student body the most internationally diverse of any research-intensive university in the country. We’re talking two campuses, 10 faculties, some 300 programs of study, and 40,000 students! The oldest university in Montreal, McGill was founded in 1821 from a generous bequest by James McGill, a prominent Scottish merchant. He carved a new life for himself in the Canadian wild while barely out of his teens. He flourished as a fur trader, despite tough and dangerous conditions. In addition to a stellar faculty, McGill is known for attracting the brightest students from across Canada, the United States, and around the world. McGill students have the highest average entering grades in Canada, and the commitment to fostering the very best has helped the students win more national and international awards on average than their peers at any other Canadian university. The prestigious Rhodes Scholarship has gone to a nation-leading 144 McGill students. McGill University’s Student Services promotes and supports student success and well-being, offering a wide range of services to students requiring academic, career, and/or personal assistance, or simply looking to enrich their McGill experience and further their self-development. Maybe you’re an aspiring journalist. Maybe you’re an LGBT rights activist. Maybe you’ve just been mulling over trying your hand at Quidditch. No matter what your interest may be, McGill is sure to have the club or activity for you. The Undergraduate Students’ Society of McGill University (SSMU) sponsors nearly 300 clubs from robotics teams to music associations. So whether your passion is politics, sustainability, or cooking, you won’t have to look far to find others who share it. The University of British Columbia is a global center for research and teaching, consistently ranked among the 40 best universities in the world. Since 1915, UBC’s West Coast spirit has embraced innovation and challenged the status quo. Its entrepreneurial perspective encourages students, staff, and faculty to challenge convention, lead discovery and explore new ways of learning. As one of the world’s leading universities, The University of British Columbia creates an exceptional learning environment that fosters global citizenship, advances a civil and sustainable society, and supports outstanding research to serve the people of British Columbia, Canada, and the world.The University of British Columbia is consistently ranking among the 40 best globally and now places among the top 20 public universities in the world. UBC consistently ranks as one of the world’s top research universities.Globally connected, we attract the highest calibre research faculty and students and more than $500 million in research funding each year.In partnership with universities, industries, government and communities worldwide, our research discoveries are hugely influential.Thanks to researchers at our two campuses and affiliated teaching hospitals, UBC ideas, innovations and discoveries are advancing knowledge and improving lives around the world. As one of the world’s top research universities, for more than a century the University of British Columbia has created positive change here and abroad. Today, centered on our two major campuses the Vancouver Campus and the Okanagan Campus — they attract, nurture and proactively transform more than 58,000 students from Canada and 140 countries. Studying at UdeM gives you the chance to experience Montréal, one of the world’s top ten university cities. This bilingual and multiethnic metropolis is known for its cultural diversity that combines North American innovation with irresistible European charm. Graduate studies allow you to tap into your full potential. Acquire a specialization, deepen your knowledge, stay up-to-date in your area of expertise, or contribute to a developing body of knowledge—there are so many reasons to extend your university career. The institution has a wide variety of bachelor, major and minor programs at the undergraduate level, along with certificate programs. All undergraduate programs are given in French. After they’ve lived in Montreal for a few years, many international students like it so much they want to stay. In fact, 51% of international students plan to apply for permanent residence in Canada, according to the Canadian Bureau for International Education (CBIE). A degree from UdeM makes it all possible. Once students have successfully completed a study program in Québec, they can apply for a Certificat de sélection du Québec (CSQ) to stay and work in their field of study for several years. After they have completed that first step, UdeM graduates can apply to the Government of Canada for Permanent Residence. Housing is very affordable here compared to other North American cities. In fact, apartments in Montréal are approximately 30% cheaper than in the Greater Toronto and the Greater Vancouver areas. With over 4 million books and digital documents, the Université de Montréal library network will provide you with all the research resources you need. With the wide variety of services it offers its students on campus, Université de Montréal is like a small town within a big city. These services and resources exist not simply to meet students’ needs, but also to make their lives as students exceptional, enriching and enjoyable. Nearly 150 training and development workshops are offered in visual arts, film, communications, dance, languages, multimedia, music, photography, and theatre. Theatre, dance and singing troupes give students the opportunity to perform on stage. In just half a century, the University of Waterloo, located at the heart of Canada’s technology hub, has become a leading comprehensive university with 35,100 full- and part-time students in undergraduate and graduate programs. The core value proposition of the University of Waterloo Stratford Campus research is the aggregator model. It’s a model that connects industry to the University. By bringing together opportunities for strategic, forward-looking research in the digital media space, the Waterloo Stratford Campus works with industry partners to find independent content creators, digitizers, and disseminators to foster new research in the field of digital and new media and the arts. Waterloo’s main campus is located in the City of Waterloo, about 110 km west of Toronto.The area is home to 2 universities and a community college, so there are plenty of student-oriented businesses and activities to keep you busy! Times Higher Education and Academic Ranking of World Universities have developed the annual rankings which show the best of higher education institutions on a global level. Canada is among them due to its famous universities. In Canada, you will have a multicultural experience that will be appreciated on a global level.